In keeping with CBF’s focus on long-term impact, CBF Florida and CBF Disaster Response participate in networks seeking to help communities after a devastating event, but employ most of our resources on the long-term recovery, rehabilitation and resiliency of a community. For this reason, CBF Florida has become a participating member in the Northeast Florida Long Term Recovery Organization whose aim is to improve the quality of life of those heavily impacted by Hurricane Irma and help them build capacity toward a thriving existence. One of Jacksonville’s northern neighborhoods, Washington Heights Estates, was impacted by the flooding brought about by Hurricane Irma. This low-income community is situated along the Ribault River, a tributary of the St. Johns. The flooding that occurred in September of 2017 – with 20 inches of rain combined with high tide - was unprecedented. Waist-high water rose into the lowest lying homes, particularly along Ken Knight Drive. Since January of 2018, CBF and CBF Florida have mobilized a number of teams of volunteers and provided funds to cover approximately one half of the cost needed to restore many of the homes in Washington Heights Estates. Collaboration with local organizations such as Builders Care, Yellow House, as well as the PC(USA) Presbyterian Disaster Assistance and World Renew, the Christian Reformed Church’s relief agency has been ongoing. 20+ residences are still in need of restoration on Ken Knight Drive, and over 40 roofs are in need or repair or replacement. Teams with roofing experience will be needed to complete some of these repairs, but other homes can be completed by unskilled workers with supervision from a licensed contractor. Please pray for families who have lost everything they own and first-responders who are giving everything they have to save lives. Pray for communities as they cope and as they heal. We ask that churches and individuals provide financial support so that funds can be used locally to respond in the most effective way to meet needs.  Please consider a gift to the CBF Hurricane Disaster Relief Fund here. 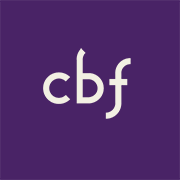 CBF is not accepting donations of items as we have learned from experience that it is much more efficient and cost-effective to provide funds that allow Disaster Response personnel to procure supplies as needed. See available opportunities with CBF Disaster Response here. As search and rescue efforts give way to recovery, CBF will begin providing information and accepting registrations for volunteer teams.